The name of Rowbottom is famous in Penn lore because of its association with Penn student disturbances stretching from 1910 to 1977. Given the wild and destructive nature of some Rowbottom incidents, it is not surprising that many people in later years constructed an image of the original Rowbottom as a drunken, rowdy ringleader. However, there are a number of sources suggesting otherwise. And as an alumnus, Rowbottom himself was aghast at his notoriety. Just as newspaper accounts over the years have printed many versions of how this young man’s name became a synonym for rioting, even his first name and birthplace have varied from one account to another. University records and Rowbottom’s obituary provide the following brief biography of Joseph Tintsman Rowbottom. Joseph Tintsman Rowbottom, B.E. 1912, was born in Philadelphia on February 23, 1890. In 1908 he enrolled as an undergraduate in the University of Pennsylvania’s Towne School. During his undergraduate years, Rowbottom enjoyed an active extracurricular life. As an athlete he was a member of his Class Swimming Team and his Class Water Polo Team. Socially he belonged to the Delta Tau Delta Fraternity. 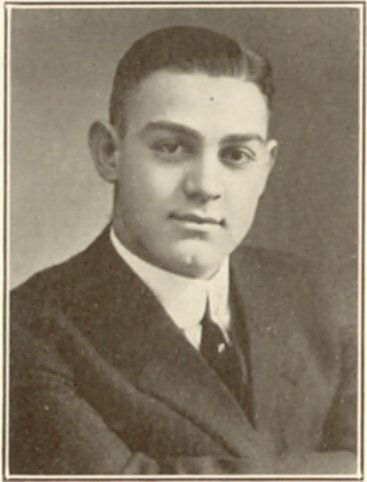 He served as a member of the Banquet Committee, Engineer’s Dance Committee, and Special Michigan Trip Committee, and was also the chairman of the Picture Committee. During his freshman year he lived in 23 Bodine Hall in the Quadrangle Dormitories. After graduating with a degree in Mechanical Engineering, he worked as a sales representative for American Steel Foundries. Joseph T. Rowbottom died of cancer May 18, 1962. His son, Joseph T. Rowbottom, Jr., graduated from the Dental School at University of Pennsylvania in 1943. His grandson, Joseph T. Rowbottom, III, also attended the Dental School, graduating in 1970.